"I will not comment on that," said Prabhu, who is visiting the state to take part in campaigning ahead of the vote on April 23. Replying to a query about the another round of note ban, he said: "I am just saying, the measures required will depend upon time. This was one measure that was aimed at taking care of black money. I am not going to tell you whether we need one more round or something. That depends upon time." Prabhu also said the Narendra Modi-led government had the "political will" to eradicate black money and several measures had been taken to crack down on illegal accumulation of wealth. "A commitment on part of the government is to take as many measures as necessary, however, difficult they may be. 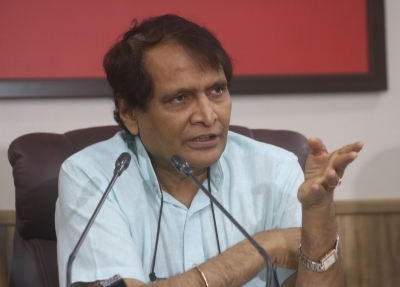 Whatever political cost one has to pay for it, we are willing to do it, as long as we succeed in ensuring that India becomes a transparent economy," Prabhu said, addressing a press conference at the party headquarters. "The black money is the biggest enemy of the poor. They suffer a lot due to this," he said. Prabhu said: "The political will of the government is to get rid of the menace of black money. Many committees have gone into it. But this is the first government that has acted against it, rather than appointing another committee." "We have taken the measure that demonstrates our deep commitment to eradicate it (black money)," the Union Minister said.